What are the things in nature that most amaze you? Why? Do you think it is plain to see that a Creator exists because of the design and complexity in the creation? If so, in what ways? What can we tell about what God is like from the creation (and what can we not tell from it)? If purposeful (specific) complexity and design need an intelligent creator (like beautiful buildings or automobiles do — and complex miniature cells in our body even more-so), why do some people who are scientific still hold to the belief that there is no God? How can we make sense of this? If there is a God, what does this mean? What might a wise response to this awareness look like? 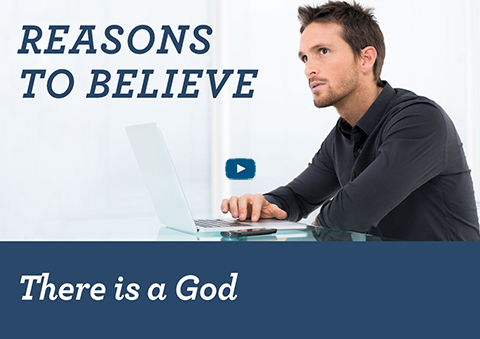 Are you willing to put a marker in the ground, declaring that you accept that a single Creator God exists on the basis of the evidences — so that you can focus on the next logical questions regarding whether or not this God can be known and trusted? Dear God, thank you not only for this amazing creation, but also for the ability to comprehend enough of it to appreciate that it is amazing. The amazing things you have created and ordered give us pleasure — and teach us things too. Thanks! Thank you also for making your existence so clear to us through this — even though we still sometimes struggle to reconcile the existence of evil and suffering with it. As a first step, I choose to accept that you exist, and ask — because I have chosen to believe that you are listening — that you will make yourself real to me, and help me to understand your ways. Thanks for creating a planet with things in it that can amaze us, surprise us, delight us and excite us.